I Love The DNA Pendants! Made by Zoogen, these DNA Pendants are actually your pets (or human) DNA made into a wearable keepsake. All you do is take a cheek swab of your pet, send it in, and the DNA is the spun to a silky web that captures the color of your choice. The DNA rests in the sterling silver channels of the helix and is preserved in resin. Crowned with a sterling silver crown, there is a heart shaped charm attached. An 18" sterling silver chain is also included. I keep the pendant that was made of Pickles DNA by my computer station at work, when I am not wearing it. I think that this is a wonderful gift, either as a piece of jewelry or a keepsake. Valentines Day Is Right Around The Corner - Don't Forget Yourself! For your pleasure we offer the full line of Lisa Welch Jewelry. Lisa's designs are available in Sterling Silver, 18kt Gold and with real Gem Stones. We love her designs and think that you will too. They are not easy to find, just do a search at www.moetoys.com and type in jewelry and they should come up. 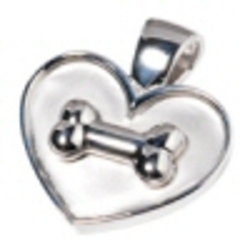 And best of all, the jewelry is also 25% off for our Westminster Dog Show Sale. And if you order soon, you can have your new piece of jewelry in time for Valentines Day!